It's about time for... another FREE GAME GIVEAWAY! And this year's theme will be DELICIOUS CANDY. 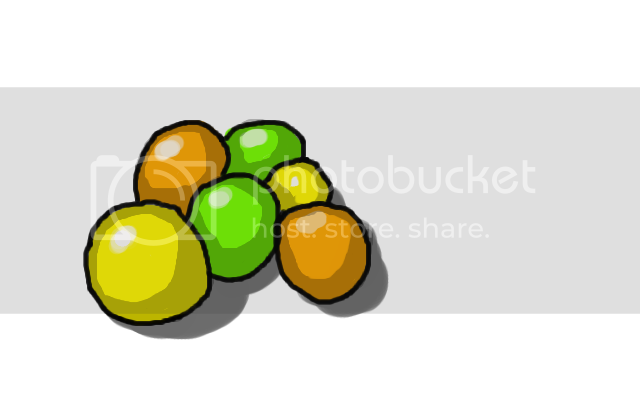 The basic entry is this: post in this thread and describe a candy themed around any game (or character from a game) that is or has been sold on hanakogames.com. For this part, it doesn't matter if it's an affiliate game or not. 1 ticket if you draw a picture of your candy, too. 1 ticket if I think your candy description or picture is particularly apt, funny, or cool. It pays to be creative. 1 ticket if you are the first entrant to describe a particular game/character. Don't just go for the obvious targets! 1 ticket if you publicly tweet or blog about the contest - put a link in your entry post so we can verify. Games, of course! As usual, the exact number and quality of giveaway games depends on how many people enter the contest. If I only get a handful, then there'll be one free downloadable game, done. If hundreds of people pour into the forums to take part, there will be lots of prizes and even a hard copy or two. Winners will be selected on or around Halloween, so check back then to see if you've got a treat! (removing doubles) I think Long Live the Queen is more like that "chocolate roulette" game where you have a bunch of chocolates--but one of the chocolates has a really hot pepper inside. If that doesn't count because of the chocolate, I'd say Cute Knight Deluxe reminds me of a candied apple: sweet and comforting and a nice twist on a traditional favourite (that is, raising sims like Princess Maker 2 and RPGs). The Royal Trap is like one of those gamble chocolates except inside is four other gamble chocolates so you don't even know what it's made of for half the time you're eating it. Last edited by Gimmicky Gary on Fri Oct 17, 2014 11:42 pm, edited 1 time in total. Okay, Summer Schoolgirls is like shoestring licorice. It's multicolored , but each thread is a single color. It's sweet. And the [story] threads tend to tangle up together if you're not careful. 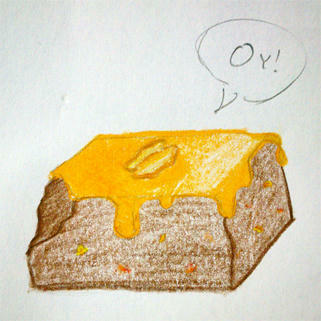 Magical Diary is like a delicious multi flavor rock candy encased in Chocolate. The smooth creamyness of the milk chocolate with the nice sparkling multicolored little Candy rocks inside make for a wonderful treat you can share with your friends. But make sure that the flavors of the candy doesn't conflict with the flavor of the chocolate. or it might turn out bad. Eh, since he posted two I'll count you as the magical diary one. One candy only, people! Don't post two, it confuses the count! Future entries trying to cram multiple candies into one post may be disqualified. If you're not sure if something counts, ask first and let me deal with it. Magical Diary is that box of chocolates where all but one are nasty coconut combinations but the last one is raspberry filling and you know you should be polite and not hog the only good candy but damn it, raspberry and coconut aren't even on the same PLANET so you do it anyway. Every time. The raspberry may be representing Professor Grabiner. Lucille is a lot like White Rabbit candy. It's sweet, comes wrapped in frills, and you fondly grew up with it. Unfortunately, it's also poisoning you, so you'll probably have to exile it out of your realm. Date Warp is like a packet of Starbursts--you pick the red and pink ones at first, the traditional cherry/strawberry sweets, but the constant presence of lemon and orange makes you want to try for the overall rainbow. You put them in your mouth. Candy gold. Science Girls is like a bag of homemade hard candies from your cousin : They could be sweet, they could be sour, taste like feet, taste like flour; you'd wanna take them to your bed, but they just might explode your head. Lucky Rabbit Reflex is like one of those giant chocolate bunnies; so much to take in but you're gonna finish it all anyway because damnit you want all those endings/cgs you're a glutton for punishment. 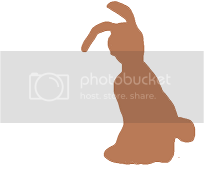 Don't make fun of my horrible paint bunny. A lot of love went into those pixels. To me, Magical Diary was a caramel, walnuts and candied bacon brownie. It looks like a treat you've seen a hundred times in bakeries and shops -- good and comforting, but conventional. However, when you take a bite, it has all those hidden depths, great complexity and stuff you didn't expect to be in there. Last edited by sf0311 on Sun Oct 19, 2014 8:27 pm, edited 1 time in total. Link and pic forthcoming (hopefully before tomorrow), just thought I should get this in early. Juliana, Duchess of Ursul (from LLTQ) is like [SPOILER]... li hing mui (or "crack seed"), a potent, salty-sweet Chinese candy that makes your taste buds freak out and your hair stand on end the first time you encounter it. Once you've gotten to know it, though, you're going to keep on reaching for more! "Long live the queen". To me this is like brightly coloured, citrussy, sickly sweet candy shells, with a layer of chewy sweetness (like skittles, only slightly sweeter) and filled with gingers, hot sauces, sherbert (baking soda, icing sugar &citrus powder) and sour lemon fillngs in unknown combinations. A sweet treat with a kick in it's center. A contrasting candy that keeps dragging people back for more with it's unexpected surprises. Last edited by Erynn on Sun Oct 19, 2014 8:02 am, edited 1 time in total.